Change is in the air! 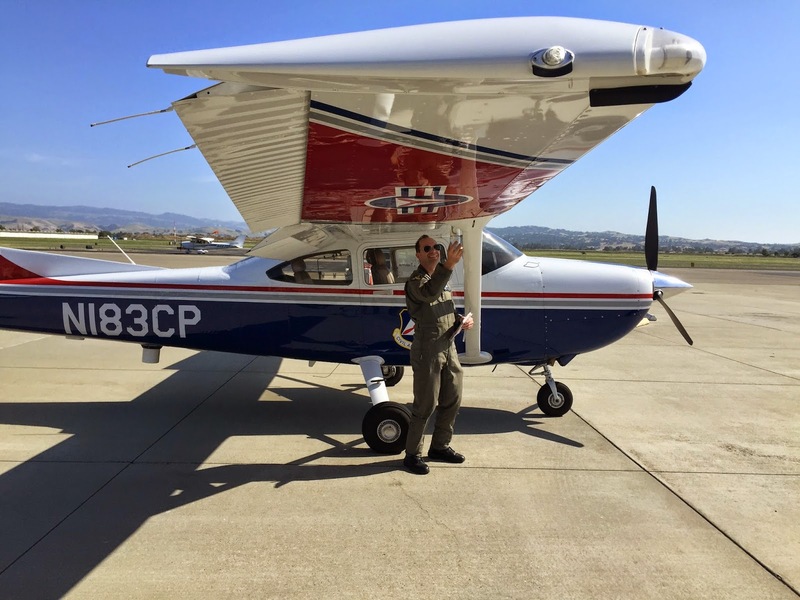 Leaders of the technical airborne photography development team in California Wing (CAWG) have been experimenting for months with our new Garmin VIRB camera. This past weekend, many of us were lucky enough to receive training on them. Thanks to efforts of many, including Project Officer, Squadron 188’s Capt Jordan Hayes, who also acted as Air Ops Branch Director (AOBD), and others leading this training exercise, CAP members from Northern and Southern California spent Sunday training at LVK. We spent the morning learning about the different roles that the Mission Pilot (MP), Mission Observer (MO), and Airborne Photographer (AP) have, not just in AP missions in general but in Garmin VIRB missions in particular. 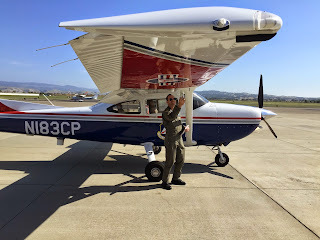 In addition, we reviewed tips for flying and coordinating these specialized missions. 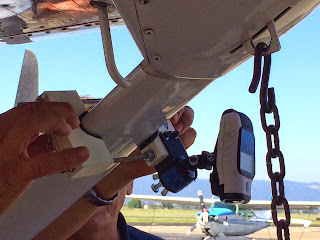 After some time in the classroom, we went out to the planes to practice mounting the cameras on the struts of the planes, securing them, and ensuring they were functioning properly. Unlike in our other AP missions, this part was now a full-crew task, not solely something to be accomplished by the APs. 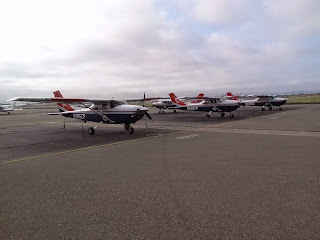 CAP aircraft ready for AP sorties, photo by Lt Choate. 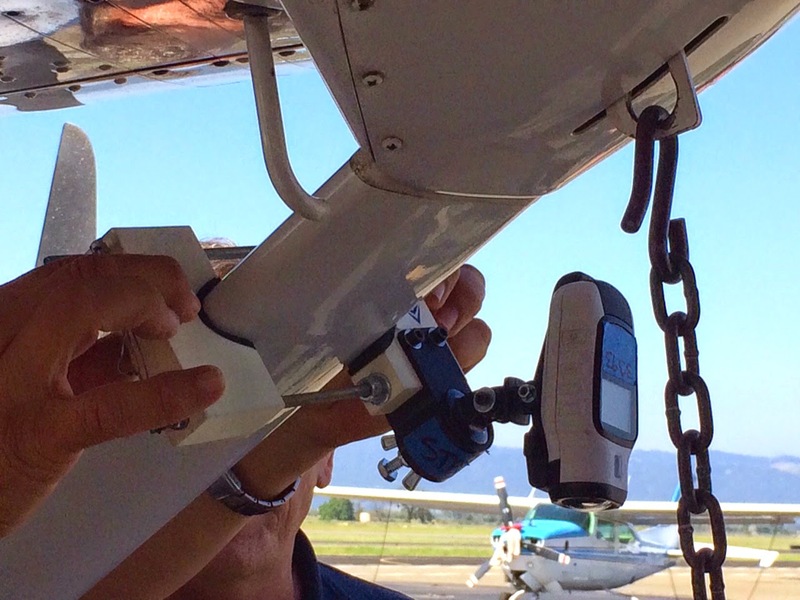 In the afternoon, we put our new skills to good use doing strip passes using the Garmin VIRB camera system. Lessons were learned! In the debrief we talked about cameras shifting position (angle), challenges in keeping the planes oriented properly especially in the light afternoon turbulence, unexpected events impacting planning, etc. 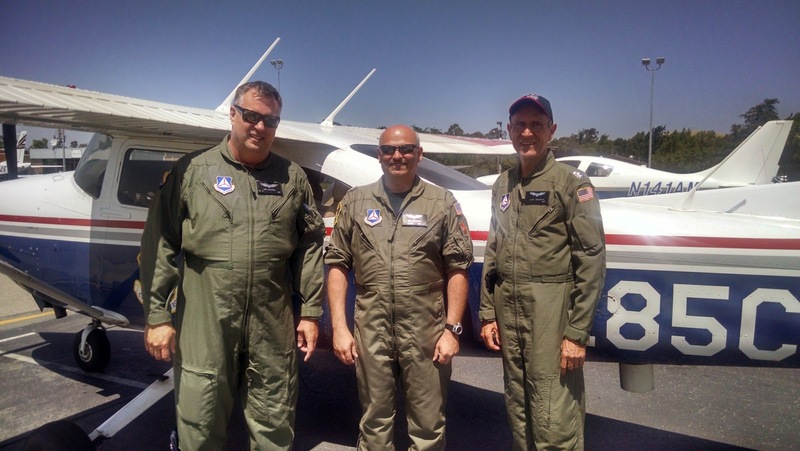 As an AP, I can say it was both fun and really valuable training – quite different from our other AP missions. I enjoyed training with my crew, flying with MP Capt Joshua Edwards and MO 2d Lt Michael Gross. 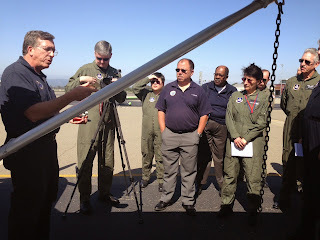 Thanks to Capt Hayes for organizing this training on short notice, as well as to the Incident Commander (IC) Maj Marc Sobel, to Capt Michael Sullivan who has provided much of the AP training since this program started for CAWG several years ago, and to everyone else involved in making this exercise a success. Capt Heinrich (MO), photo provided by Capt Heinrich.